Our goal is to be one team, focused on delivering the ultimate guest experience. This is done through an engaging work experience and efforts to make our company an employer that attracts, develops and retains capable, engaged and high performing employees. Tuition Reimbursement Program – Financial assistance was provided to qualifying permanent full-time employees completing courses/programs at accredited educational institutions that lead to an accredited degree, diploma or certificate, and relate to the employee’s immediate position or a position within a reasonable career path. In 2014, 43 employees participated in this program, resulting in approximately $40,000 of financial support from the company for their development. Coffee Break Sessions – Members of our Senior Leadership Team discussed strategic priorities and business processes at these internal sessions. The goal was to educate employees about our business, culture and values, and to help them connect the work they do every day to different areas of the business. Distribution Leadership Essentials Program – This course was designed to reinforce some of the basic skills required in our front line leadership positions. The training focused on roles and responsibilities, what it takes to be a good leader, the Tim Hortons Leadership Model, and most importantly how to apply the concepts and tools. The training structure allows us to leverage the knowledge and expertise of our more seasoned supervisors, to share best practices, and to cultivate the learning of our new leaders in an interactive scenario-based environment. The training is delivered to most of our regional Distribution Supervisors, Team Leads, and Manufacturing Supervisors nationally. Supply Chain Passport Program – Through a combination of classroom learning and on-the-job experiences, this program brought employees from different areas within our supply chain together to network, to develop cross-functional knowledge, and to seek opportunities for continuous improvement. Continuous Improvement – is our methodology to drive operational excellence and innovation. We used it to identify opportunities that provide cost, quality, and capacity improvements, and ultimately deliver value to our Restaurant Owners, guests, communities and employees. We foster an inclusive workplace and we’re proud to offer a respectful and friendly work environment to all of our employees. In 2014, we developed training on the Accessibility for Ontarian’s with Disabilities Act (AODA), Integrated Accessibility Standard Regulation and rolled it out to all Ontario-based corporate employees. Additionally, we provided funding for the development of a documentary on the benefit of hiring people with disabilities. To attract, engage and retain great employees, we are committed to providing a multi-dimensional rewards program including base pay, benefits, incentive pay opportunities, learning and development opportunities and a great work environment. The following table outlines the benefits available to our permanent and non-permanent employees in 2014. All permanent corporate employees are eligible to join our company Defined Contribution Pension Plan after completing one year of continuous service. We also provided employees with the opportunity to own common shares in the company through our Employee Direct Share Purchase Plan. We know that healthy employees are productive employees. In support of this, in 2014, we offered a number of health and wellness programs throughout the year such as employee health fairs, health prevention initiatives, lunch and learns, incentive programs and “Fit Tips” that focused on various topics such as nutrition, physical fitness, mental health, and financial health. Employees working in our head office in Oakville, Ontario, had access to an onsite fitness centre. Employees working in all of our regional offices were also eligible for a $200 fitness subsidy – each calendar year – to go towards any fitness activity of their choice. Health and safety is an integral part of our company, and we believe that everyone is entitled to a safe and healthy workplace. As part of our operations and culture, our health and safety goal is to protect employees, property, the environment, and the public. We are committed to developing and implementing appropriate work practices, tools, equipment, and training so that every employee can work safely, and has the ability to identify hazards and deal with them effectively. Along with formal Joint Health and Safety Committees at our corporate offices, distribution and manufacturing facilities, training sessions are required for different groups within the organization on topics such as Violence and Harassment Prevention, Rights and Responsibilities, Workplace Hazardous Materials Information System (WHMIS), Material Handling, Transportation of Dangerous Goods, Accident Investigations, and more. Operating in a fair and ethical manner has always been a core value at Tim Hortons. 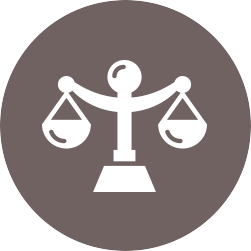 Every employee was provided with, and signed, our 2014 Standards of Business Practices (SOBP) document that sets out our expectations regarding ethical business practices. 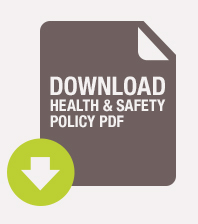 Additionally, employees are provided with more detailed job-specific information on how to apply these standards to their work. Consistent with our “open communication” philosophy, we are sensitive to the need for confidentiality with respect to ethics issues, and our commitment is that anyone coming forward in good faith will not be penalized for reporting an ethical concern. To help facilitate this, we provide employees with access to the Ethics Helpline that allows them to ask questions or report concerns to the company on an anonymous and/or confidential basis, 24 hours a day, seven days a week, in both French and English. In 2014, we were focused on driving high (employee) performance through alignment, continuous improvement, and operational excellence to help our company meet its strategic goals. Employees were encouraged to set effective goals that align with our overall corporate strategy and direction. Our company strategy was cascaded to each employee in 2014, to ensure plans were developed for focused and meaningful work throughout the performance year. Dedicated workshops were delivered to all employees to ensure goals are aligned with the organizational strategy. Commitment to development and continuous improvement. To ensure our leaders were well prepared to manage the performance process, we provided them with various learning resources focused on goal setting, giving feedback, and delivering performance reviews. Over 99% of our restaurants are operated by independent Restaurant Owners. Therefore, the vast majority of employees, referred to as Team Members, who work at Tim Hortons restaurants, are the employees of our Restaurant Owners and not of Tim Hortons. However, templates and guidelines for human resource related programs, policies, and initiatives are offered in support to our Restaurant Owners to assist them with attracting, developing and retaining restaurant Team Members. It is important that all restaurant Team Members feel welcomed in the workplace from day one and that they have a satisfying experience while working at Tim Hortons. Our Restaurant Owners know that happy, engaged Team Members deliver the ultimate guest experience leading to happy and satisfied guests! Every day, in small and big ways, we inspire a sense of belonging among Team Members who share a passion for Tim Hortons. Our desire to be the very best drives us to create exceptional experiences for Guests, each other, and the communities we serve. The Team Tim Hortons Scholarship Program recognizes restaurant Team Members, their children, and their grandchildren who give back to the community through volunteer work and who are pursuing post-secondary education. Each year we award 200 scholarships in Canada and 20 scholarships in the U.S., worth $1,000 each. 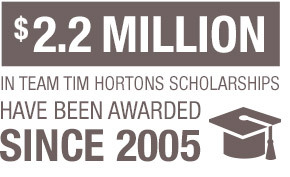 Provided applicants continue to meet the eligibility criteria, they have the opportunity to qualify for a Team Tim Hortons Scholarship up to five times! I wanted to write to express my deep gratitude for the 2014 Tim Hortons Scholarship. Your generous support will be of great assistance to me and my family during my college career. 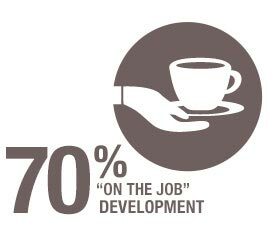 The program and my current job within the Tim Hortons family has taught me about leadership, hard work, and sociability. Starting a first job when you are 16 always seems terrifying, but over the years I have learned about the importance of working together, that through extensive effort you can make it to the Always Fresh finals, and customers sincerely appreciate our fun and pleasant demeanor. The Tim Hortons University takes learning seriously and is committed to providing a customized learning environment for all participants. The official launch of the Tim Hortons University in Oakville, Ontario, took place in January 2012. The program ends with a week-long case study where participants present to a panel of senior leaders, followed by a graduation ceremony. 2014 saw the continuation of our TIMS-U in the field regional training programs with instructor led training and virtual classes. The curriculum features several key topics that help Managers and Supervisors enhance their performance at their restaurant as a precursor to attending the University. Topics include: Knowing your Numbers, Successful Shift Management, Effective Team Meetings, Food Safety and Managing the Guest Experience. We also held Manager Symposiums to share relevant information with our Restaurant Managers, and an annual Leadership Symposium for Restaurant Owners to share relevant industry advice and provide leadership development. Since its inception, Tim Hortons has had a culture of training. We believe that effective training is an investment and a necessary part of equipping our Team Members with the skills and knowledge required to deliver a high level of consistent and efficient service to our Guests. Over 100,000 users (Team Members, Restaurant Managers, Restaurant Owners and Corporate Team Members) have access to TAPP (Tim Hortons Apps) a series of restaurant related apps available on tablets and computers. 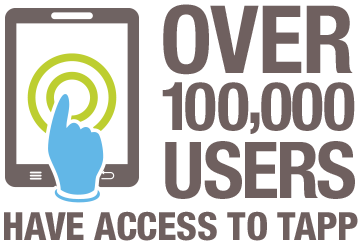 One of the primary apps is the e-learning program “The Tim Hortons Learning Centre”. The Learning Centre is based on a phased approach for different skill sets, including preparation procedures, information on new products and key knowledge on food safety. Learning modules are available in English, French, and Spanish. With a strong focus on hospitality, restaurant Team Members also have access to guest experience learning modules, where real-life restaurant scenarios are presented, featuring a virtual happiness-indicator gauge that measures guest happiness based on Team Member responses. TAPP has also helped us reduce paper usage in the restaurants by hosting all important/required logs. i.e. Restroom Checks, Manager Walk-thru and Time & Temperature logs. Approximately 10,000 Restaurant Managers and Owners, as well as over 1,000 corporate employees, have access to our management e-learning program. This series is targeted towards the different levels of restaurant management (Trainer/Supervisor, Assistant Manager, Manager) and focuses on the operations, financial and human resources aspects of running a successful restaurant, including managing health and safety programs and inventory cost controls, as well as leading and coaching Team Members.